The cable is contained with the zip which you can open for better comfort and close after use to keep the phones together. 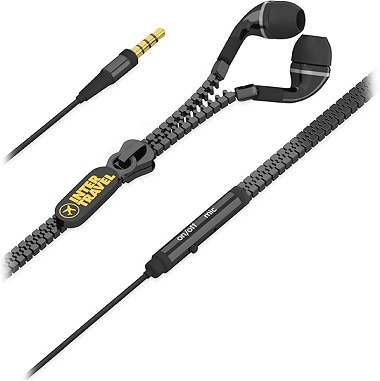 Resistant cables reinforced with aramid fiber. Compatible with iPhone / Android devices and all media. 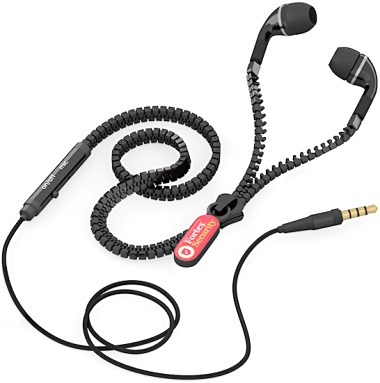 In-ear headphones to isolate noise for maximum musical immersion. 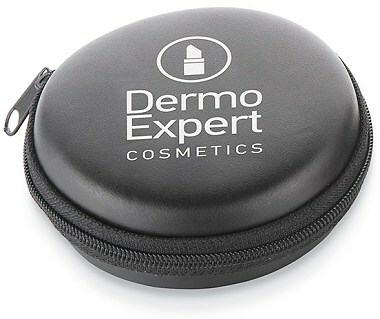 Logo Print area: 22 x 6mm on zip pull, 40mm diameter on case.